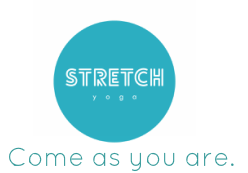 Acro Yoga is a mix of partner acrobatics, Thai massage, and yoga. Essentially, it builds a practice of the understanding of trust. Trust within the body, trust within the community, and trust in the fact that it's a lot of fun to do these amazing things you never thought you'd be able to do. If you've never been to one of Nirvana's Workshops before then you're in for a treat! Her classes and workshops are SO. MUCH. FUN! Filled with playtime and amazing tips, we promise you'll walk away with new skills you'll want to take home and practice again and again! Learn the basics of Acro Yoga and bond with your partner or bestie, or come along solo and make yourself a new BFF! We promise you'll walk out having learned, laughed and feeling amazing! This one is booking out quickly so make sure you secure your spot using the form below.